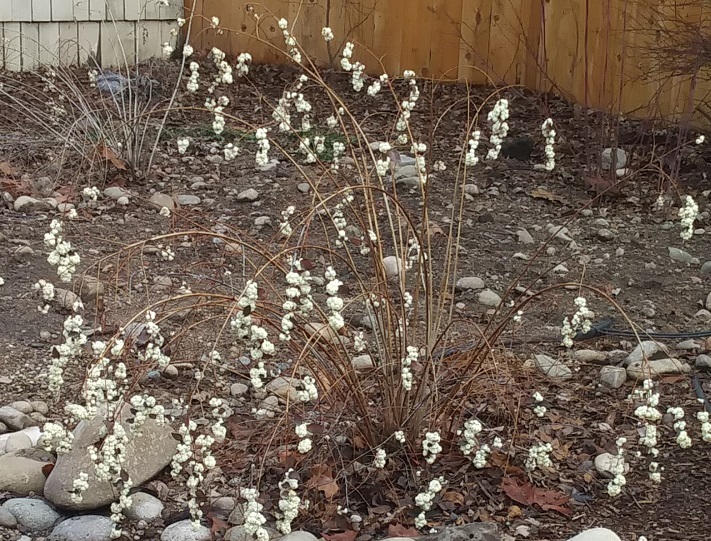 There isn’t a whole lot left of this native Snowberry bush in winter–except for those dramatic cascades of white berries! The berries themselves, though not poisonous are apparently not very palatable to birds and other wildlife. So they hang there lovely profusion throughout the winter. A well-named plant indeed.